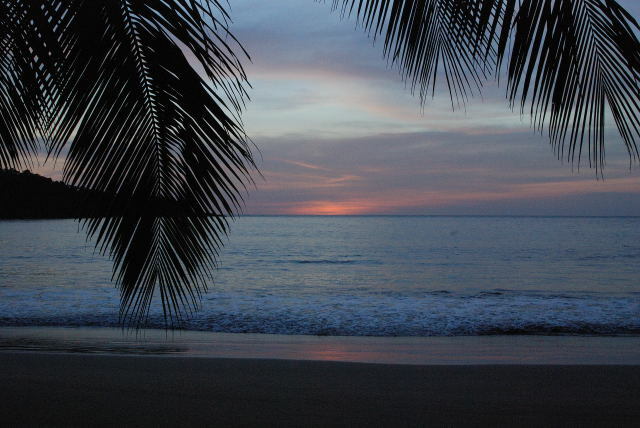 I had just traveled to the Central African island of Principe, and walked out of my cabin as the sun was setting. This view was worth the hassles of travel. Only slight sharpening on the photo was done.